I have to be honest with you, I’ve never been an avid reader–mostly because I never put forth the time or effort to do it. I would always read an occasional book on vacation but that was pretty much the extent of it. At the start of this year, I made the commitment to not get on social media in bed and to read instead. Holy cow, you can get a lot read when you actually do that! I try to read for 30 minutes every night before bed and any time I can get a chance while waiting around. Well let’s be real, recently it’s been 5 minutes before I pass out with the phone on top of my forehead. On average, it takes me until about 15%-20% in to feel connected to the book (I read 100% on my kindle app on my iPad or phone). I always forget how the characters looks are described at the beginning of the book. Inevitably, I have already pictured an actor/actress to play the character just by the tone of voice they speak in. I often have to re-read the first chapter to remember all of the names in the book. I am horrible with names in real life too so that makes sense. The woman who does my nails knows how seriously I take my reading that she’s started swiping my phone to turn the page when I’m done reading (when I clearly can’t turn it myself). God bless her. I have the same problem when I finish TV series (re: Parenthood), I am in a complete depression that it’s over! Okay, now onto the books that I read (finally!). I would honestly recommend all of these to read. 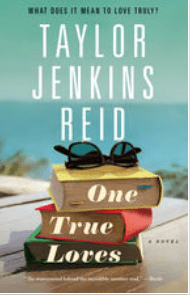 One True Loves – It’s a story around a woman who marries her high school sweetheart and he is pronounced dead in a helicopter crash soon after they’re married. Just as she’s getting her life back together and moving on with another man, her husband is found alive. She is forced to choose between two lives and men…and boy do I love a love triangle! It sounds very Hallmark Channel meets Lifetime but it’s a bit deeper than that and I honestly struggled with what choice I would have made in her shoes. 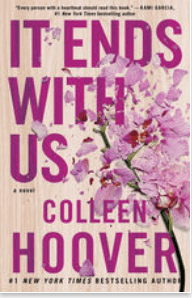 It Ends With Us – Omg, this book was so good. 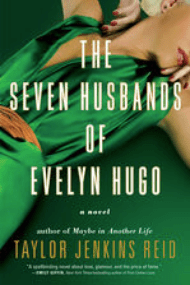 It combines everything that a good book should – love, friendship, hardship, motherhood, etc. I don’t want to spoil anything about this book so I’ll just say, you must read! 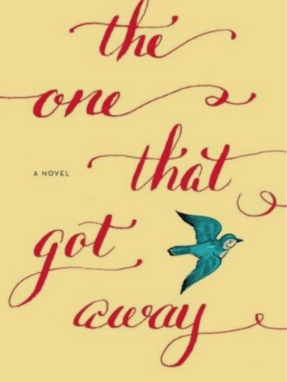 The One That Got Away – Shocker (and spoiler alert), another love triangle. This one was such an easy read and I flew through it in in two days. The main character owns an architecture/interior design firm and I loved how the author described all of the decor in the book. Not only that, the main character is very career focused and doesn’t let anything get in her way (you go, girl! ).